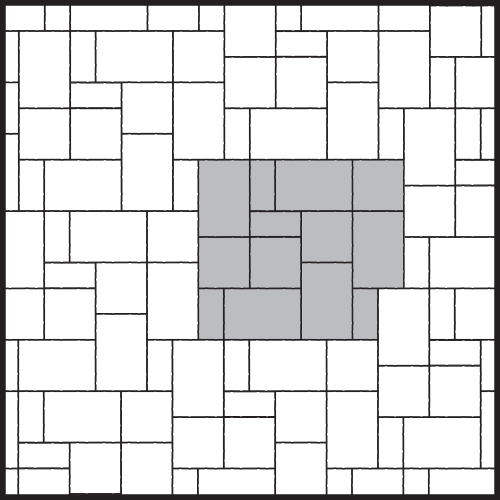 Half Square 6.30 x 3.15 x 2.375" H 0.14 sq. ft. 3.15 lbs. 50 7 350 6.86 sq. ft. 48 sq. ft. 1,300 lbs. 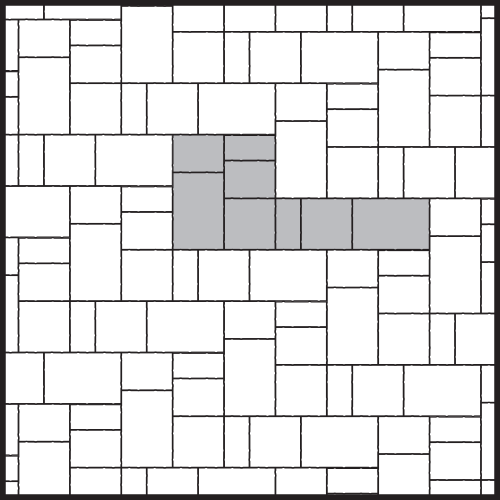 3/4 Square 6.30 x 4.65 x 2.375" H 0.20 sq. ft. 6.66 lbs. 56 7 392 11.4 sq. ft. 80 sq. ft. 2,180 lbs. 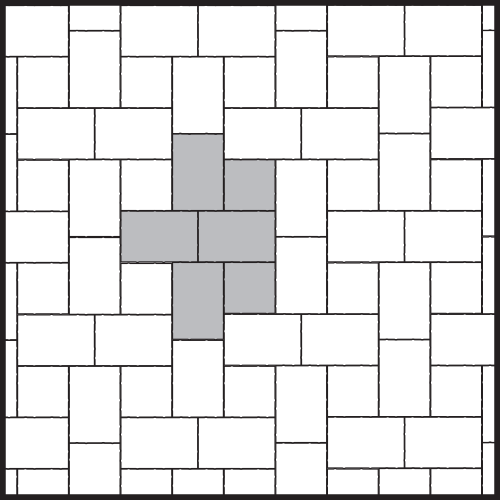 Square 6.30 x 6.30 x 2.375" H 0.28 sq. ft. 7 lbs. 50 7 350 14 sq. ft. 98 sq. ft. 2,690 lbs. Rectangle 6.30 x 9.45 x 2.375" H 0.41 sq. ft. 12 lbs. 45 5 225 18.4 sq. ft. 92 sq. ft. 2,650 lbs. Available by pallet or band. Special color runs available with set-up fee, minimum quantities apply. Customer must take 100% of product run. 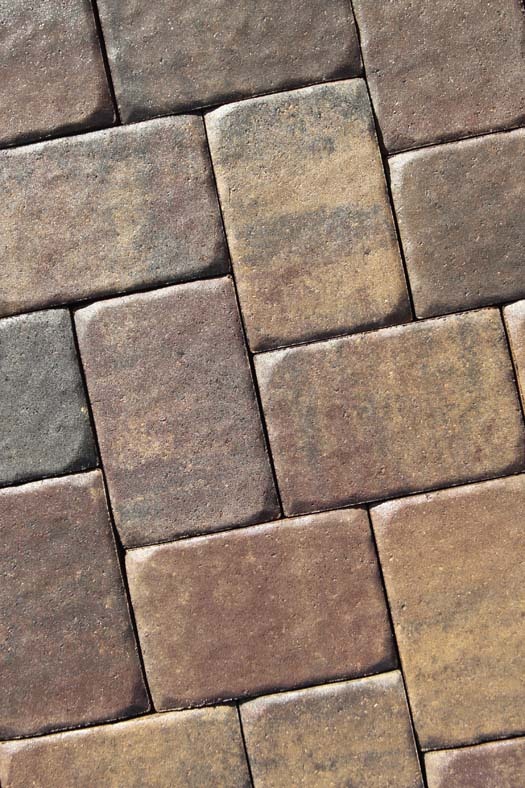 Antique Brown is available while supplies last, call for availability. Square 6.30 x 6.30 x 3.125" H 0.28 sq. ft. 10 lbs. 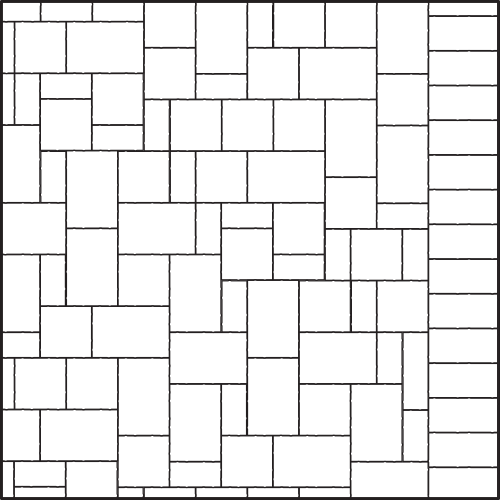 35 7 245 9.71 sq. ft. 68 sq. ft. 2,560 lbs. Rectangle 6.30 x 9.45 x 3.125" H 0.41 sq. ft. 16 lbs. 35 5 175 14.4 sq. ft. 72 sq. ft. 2,750 lbs. The Colonial Circle Kit is 13.23ft in diameter, and arrives on 2 pallets. These 2 pallets contain the 3 components that are needed to construct. First, a "Circle Starter Kit" which includes the center block and the first 2 rings. 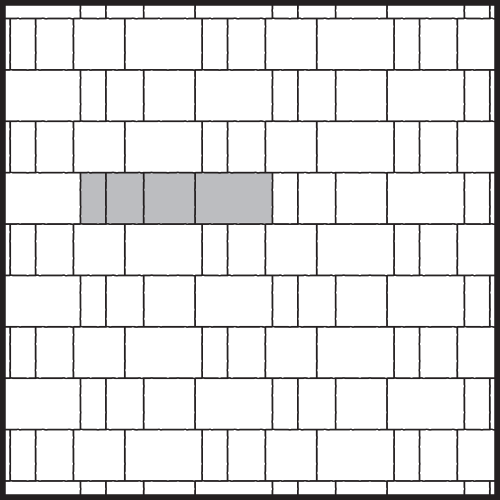 (It is shown shaded in the illustration below.) 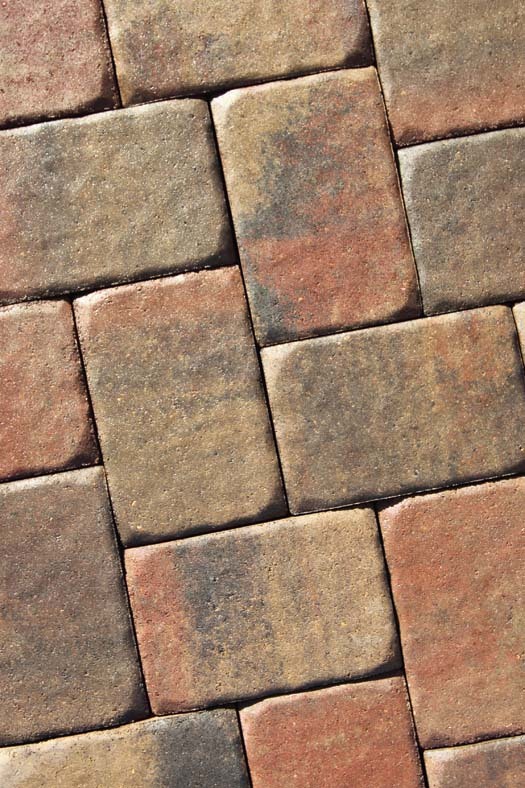 The 10 additional rings are created from a combination of 2 different sized pieces: a "3/4 Square" paver, and a special "Wedge" shaped paver. For more circle patios, see Lamont. Circle Starter Kit Various x 2.375" H - sq. ft. - lbs. 30 6 - 36 sq. ft. 1,060 lbs. 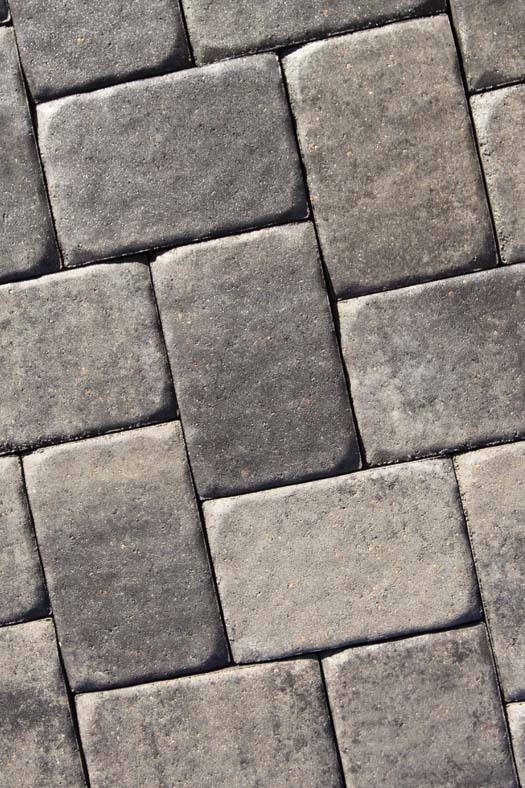 3/4 Square pavers 4.65 x 6.30 x 2.375" H 0.20 sq. ft. 6.66 lbs. 56 7 392 80 sq. ft. 2,180 lbs. 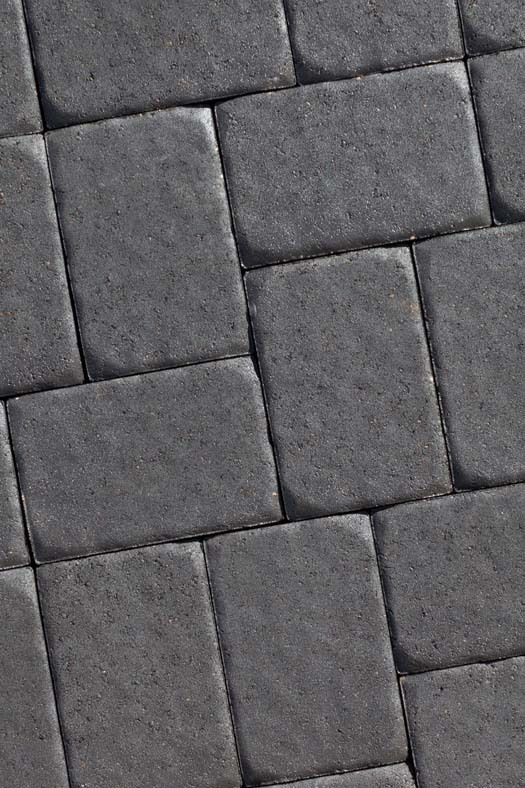 Wedge pavers 6.3 x 5.2 x 2.375" H 0.23 sq. ft. 5.8 lbs. 40 7 280 56 sq. ft. 1,550 lbs. Available by pallet or band/layer. The Circle Starter Kit creates a 2 course circle. 6 starter circle kits per pallet. 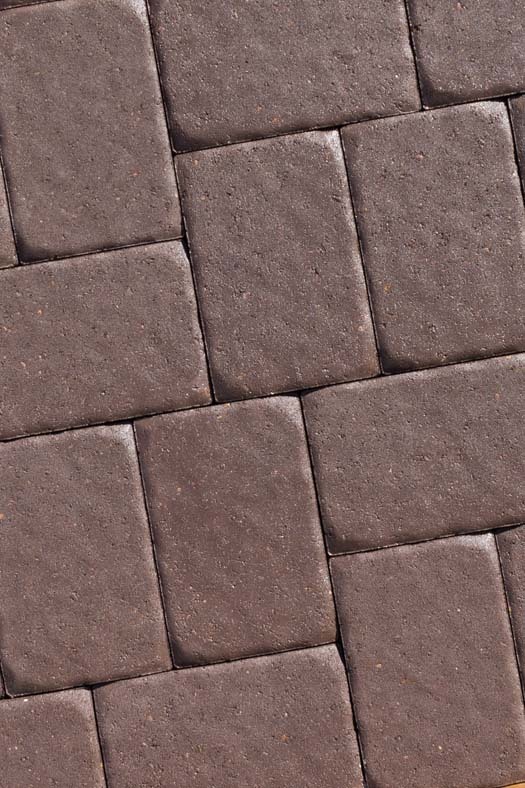 If the Colonial Circle Kit above doesn't suit your needs, you can alter the size of the circle to fit your application. 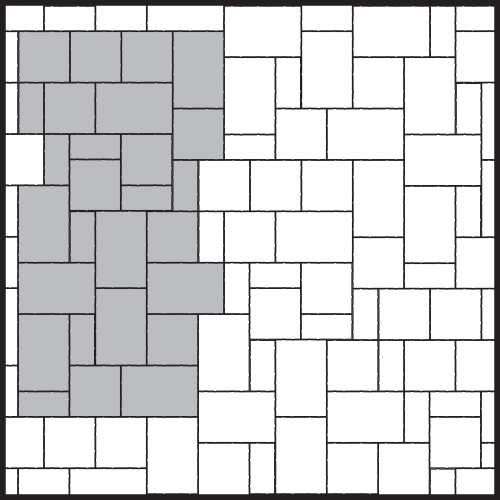 The table below breaks down the quantities of block needed to construct the Colonial Circle with greater or fewer total corses of pavers. Example: To make the 13.23 ft. dia. circle, you will need a the circle starter kit, plus one pallet of wedges, and one pallet of 3/4 squares. Antique Brown available while supplies last, call for availability. Click here for assistance and to request the location of your nearest distributor(s).